Maui is one of our favorite places. Luckily we have family living there, making Maui a second home for us. 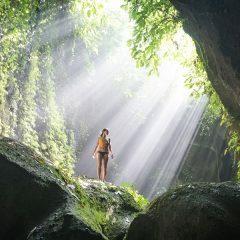 For years, we have visited Maui to enjoy the amazing beaches and get out in the sun. This past winter we spent several weeks in Maui taking some much needed time off from travelling for the past year. With humpback whales visiting each winter, we decided it would be great to get out on a kayak for the day. On a nice clear day, we got in a great workout, saw a family of three whales swimming right beside us, and snorkeled next to sea turtles and reef sharks. 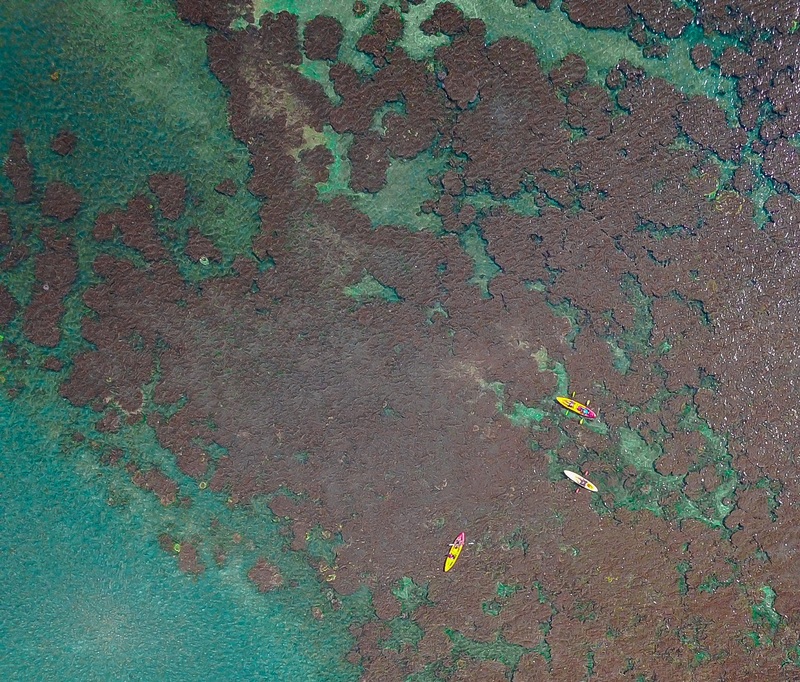 Kayaking is a great way to independently explore Maui’s reef and open waters. Humpback whales call Hawaii home from late November to May, with the peak season between January and March. Maui and the channel between Lanai is the most popular spot in Hawaii for whale watching tours, where sightings are a daily occurrence. The whales may be far away from the shore; however, kayaking can get you right in their path. 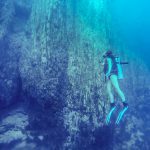 While it is never guaranteed, it is highly likely to see whales during peak season. If you are lucky, they may swim right by you. There are many places to kayak in Maui, but the most ideal spots are on the west/south shore near Lahaina, Kihei, and Makena State Park. 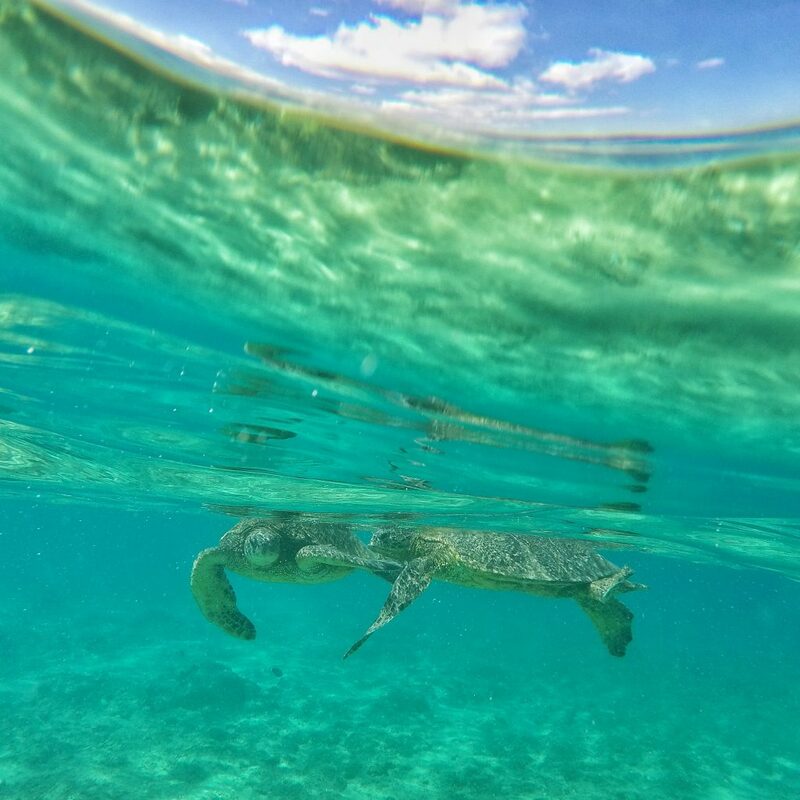 The further south you go, the more stunning beaches, however for some of the best snorkeling spots, look no further than Lahaina. 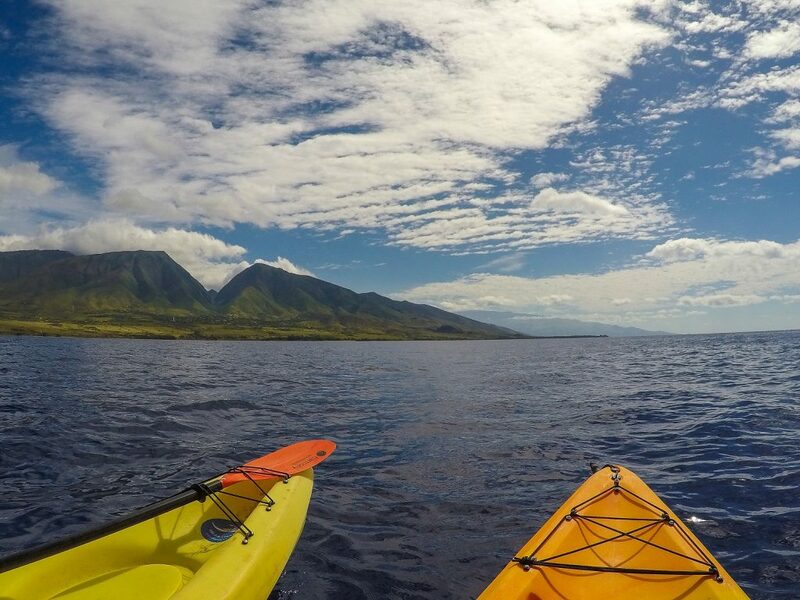 Maui has several companies that have kayak rentals for self-guided experiences as well as guided kayaking tours. Our personal favorite is Maui Ocean Sports, located in Lahaina. 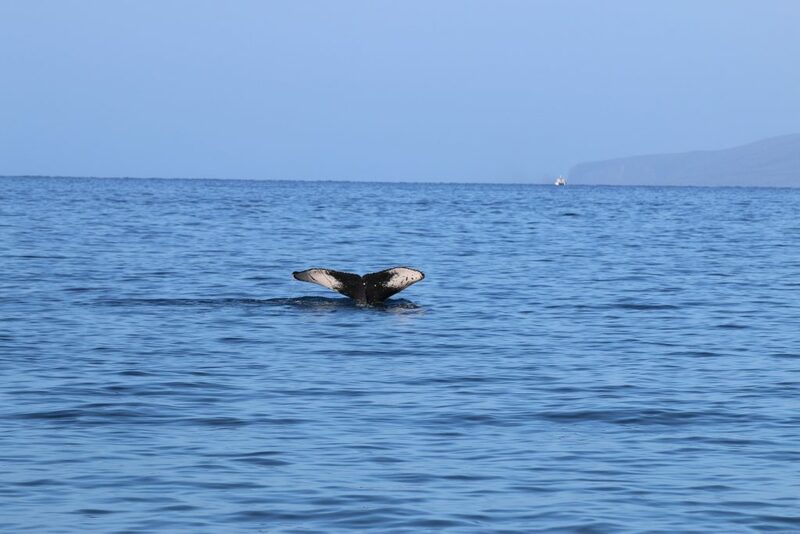 While kayaking is a year-round activity in Maui, our favorite time to go is during the whale season in the winter. Water conditions are rougher during the winter, so planning ahead can get tough at times. If the weather looks good and the sea conditions are calm, the opportunity to see humpback whales up close is absolutely breathtaking. 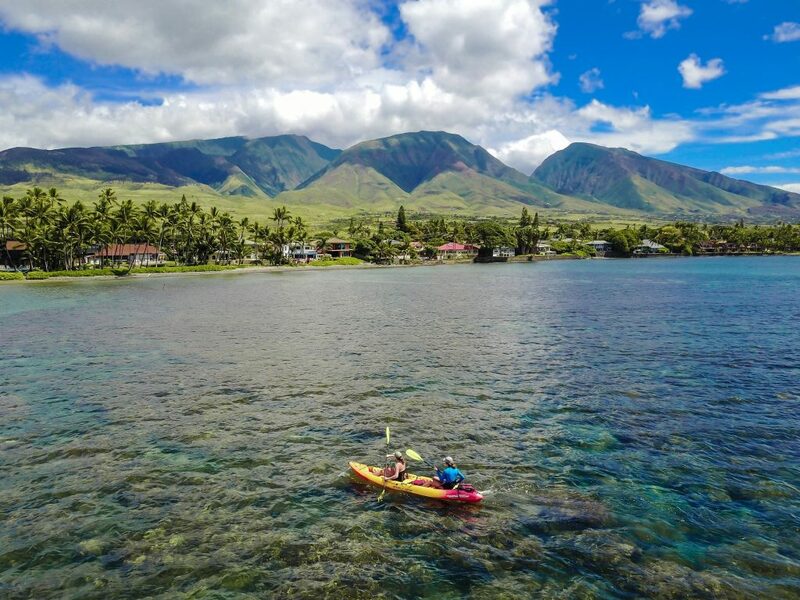 Kayaking near Lahaina and its reef allow you to see a beautiful coral reef with common sightings of reef sharks, colorful fish, and sea turtles. There are also some monk seals who live in the area. Most of the sea life can be seen close to shore near the reef. 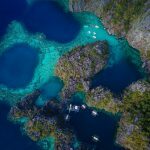 However, to best see the whales, it may take over 45 minutes to one hour of paddling into the open ocean before getting close enough to their swimming routes. Maui Ocean Sports does a ton of walk-in business, however, it is always good to plan ahead. Bookings can be made by phone at (808) 214-3491 or through email at [email protected] Their storefront location for walk-ins is located at 505 Front Street #140, Lahaina, Maui 96761. They are an excellent family-owned business that is knowledgeable about Maui and provides excellent service when booking a kayak rental. 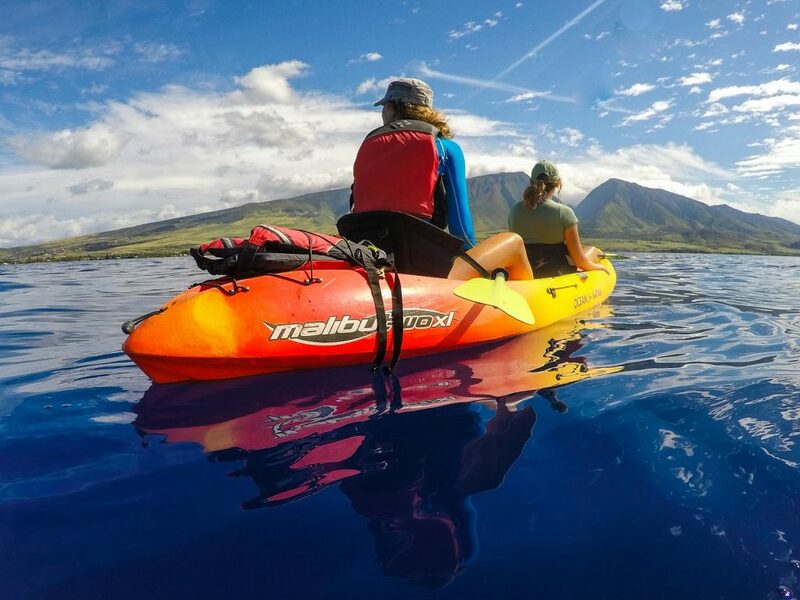 Sister company Maui Kayaks, more tour focused, is an excellent option for those looking for day excursions.